MetLife was designated a systemically important financial institution (SIFI) by the Financial Stability Oversight Council today. The ruling, however, was stronger than the FSOC designation of Prudential Financial, which prompted objections from two FSOC members. In this case, the FSOC said in a statement that the vote was unanimous, “with one member voting present.” That, most likely, was S. Roy Woodall, Jr., an independent member of the board with insurance expertise. He voted to oppose Prudential Financial’s designation. The designation was preliminary, as the FSOC noted, with the company now having 30 days to request a hearing before the FSOC to contest the proposed determination. After any hearing, the FSOC may make a final determination regarding the company. “As noted in the FSOC’s interpretive guidance, the Council does not intend to publicly announce the name of any non-bank financial company that is under evaluation before a final determination is made,” the statement said. Kandarian’s comment likely confirmed that MetLife plans to challenge the designation. If denied, under the law, MetLife would have the ability to challenge the designation in court. At the same time, a decision by the U.S. Circuit Court of Appeals for the District of Columbia, meeting en banc earlier in the day, cast a shadow on the likelihood of MetLife winning a court challenge. 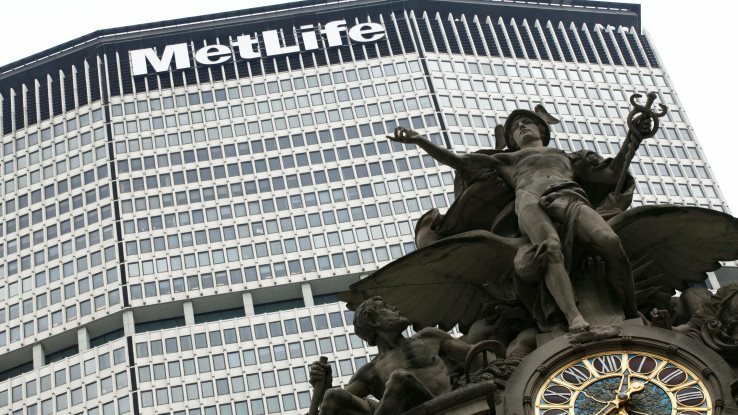 That, combined with the lack of “no” votes on the designation, will likely play a role in whether MetLife ultimately decides to initiate a court challenge if its appeal is denied. In its decision, the full court threw out a 2-1 ruling in the Halbig case and ordered a rehearing. That decision reversed an Obama administration regulation that allowed health insurance tax credits under the Patient Protection and Affordable Care Act for consumers in all 50 states, whether it was a federal exchange or a state exchange through which the consumer purchased the coverage. The D.C. Circuit made that decision on the same day a panel of the 4th U.S. Circuit of Appeals upheld the administration based on Chevron, a 1987 decision that gives federal agencies broad authority to interpret their own regulations. If designated a SIFI, MetLife would be subjected to stricter capital, leverage and liquidity requirements as a result of supervision by the Federal Reserve Board as well as state regulators. It would join American International Group and Prudential Financial as insurance SIFIs if designated. General Electric Capital Corp. is the only other non-bank SIFI. The FSOC acted two days after seven House members sent a letter to Treasury Secretary Jacob Lew effectively seeking a stay of execution for MetLife. The letter was crafted by Rep. Scott Garrett, R-N.J. The letter argued that the FSOC policy toward insurance companies is to “designate first, then ask questions later.” And it specifically argued that insurers “didn’t get the public analytical effort that the asset management industry did in the FSOCs ‘rush’ to designate firms as SIFIs, leading to disparate treatment of insurers,” the congressmen said.